Caring for one’s skin has become a modern preoccupation because of the changing ideals of what it means to be ‘beautiful’. We are constantly bombarded by TV and internet ads about “true beauty” and “perfect skin”. Well, you can forget about all that you’ve learned from magazines and TV because today you’re going to learn the truth about beauty products and what it really means to have to beautiful, radiant skin. First of all, our skin is actually well-equipped to take care of itself, just like every other organ in the body. The skin is the largest organ of the body. It is our first line of protection from the elements and is also responsible for resisting viruses, bacteria and foreign contaminants. As such it operates with a finely-tuned system. When we use skin care products and cosmetic products with synthetic chemicals we cause imbalance in this finely-tuned system. The best way to preserve this natural and unique system is by being very selective about what we put on our skin. Our skin is watertight but it doesn’t mean that it cannot absorb chemicals and toxins. Current studies show that the human skin can absorb up to 60% of anything that we put on the surface of the skin. This would be a good scenario if all we put on the skin is water. However, times have changed and people are putting more and more synthetic chemicals on their skins through lotions, creams, ointments, emollients, etc. Image Credit: Creative Commons / Google Images – Labeled for reuse with modification. The most important piece of advice that we can give people who want to preserve youthful looking skin is to practice moderation with everything that they do. This includes buying and applying different artificial skin care products. Your skin is not a science project. Do not experiment with different products to see how it goes. If you want to find out what types of products are alright with your skin, consult with a dermatologist and inform the dermatologist that you would prefer natural skin care over anything else. Your dermatologist will be able to point you to the appropriate products. Another important reminder is to watch what you eat. Few people know that what you eat actually has a big impact on the skin. Habits such as consuming alcohol and smoking cigarettes can also age your skin more quickly. If you want your skin to look ten years younger, you have to give up bad lifestyle choices. Your skin (along with all your other organs) will thank you for your decision to transform your lifestyle. Now, it is also imperative that you keep your skin hydrated at all times. In the event that you have dry and scaly skin, using natural emollients would be a good idea. Emollients will form a protective layer of moisture right above the surface of your skin. However, do not use emollients if you already have oily skin. The natural sebum produced by your sebaceous glands will be sufficient to keep your skin hydrated. 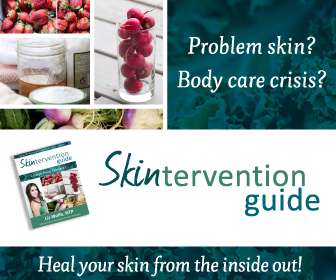 More INFO: Natural Skin Care Tips, Natural Skin Care Routine, Just Natural Skin Care, Natural Skin Care Homemade, Natural Skin Care Recipes << HERE! Link to this article by using the following URL: http://uniqsource.com/beauty/natural-skin-care-information/ COPY and PASTE!